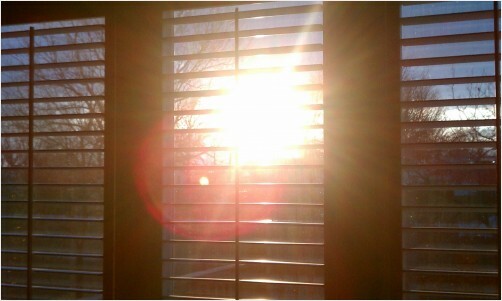 I awaken to the light, the sun coming through the window. Happily drowsy, fresh from a good nights sleep, I celebrate morning. It’s morning, at last and I get to go sledding with my sister. Momma said we could last night as we watched the snow falling furiously like there’s no tomorrow. “Mae, wake up” I whisper before turning towards her bed. “They have cancelled school and we get to go sledding,” I say, hardly able to contain my excitement. But, something is strangely different. I do not see her bed. An unfamiliar armoire looms where her bed should be. I’m confused. How did her bed simply go away? Where did this ugly piece of furniture come from? Where did Mae’s bed go? Where did Mae go? It suddenly hits me. “My God, this isn’t even our room,” What is this place? I don’t know this place. I don’t know how I got here. I feel sick. I swallow the vomit that is inching up my throat. I am rigid with fear. Panic, I think. This is what panic feels like. Take a deep breath. Think. A stern-faced woman is looking at me from the open door to my room. She seems tired and frustrated. She looks mad. I think she is mad at me. I have never seen her before. “Where am I?” I ask her. “Where is my family?” She shakes her head and asks me if I need anything. Suddenly, I have to pee. I bolt upright and put my feet to the floor. A loud buzzer goes off. “You know you cannot get out of bed without help,” says the dreary woman as she helps me to a chrome walker. A walker? I have a grandson? Where is my mother? She will come get me and take me home. There has been some mistake. I see a table on wheels beside my bed. It holds a tray of food covered with an ugly brown plastic dome. I curiously open the lid. The food looks disgusting. They tell me that I must eat. I try, I really try, because if I don’t eat I will never get out of here. That’s odd. Every nauseating bite that I manage to swallow does nothing to lessen the amount on the plate. “I can’t eat this stuff,” I cry. They give me thick white milky stuff to drink. Oh, thank God. My son is here. He has found me. I ask him if the other children know where I am. He has the same look on his face that the weird lady had. Disgust? Pity? Sadness? What is that look? He doesn’t answer me but starts to tell me about the happenings in his life. Of course, I know he has a new grandson, but I cannot remember the name of his wife. I do not want him to think I am loosing my mind so I smile and nod like I give a damn. Streams of words are pouring out of him, but I do not know what he’s talking about. “Do you want to call your daughter from Houston,” he asks. “No.” I’m a little concerned that I can’t remember having a daughter in Houston. “Where’s daddy,” I ask him. My arms look wrinkly, like an old lady’s. Who’s arms are these? Am I old? My son shows me pictures of people he thinks that I should know. I pretend to be interested but what I’m really thinking is, whats my boyfriend doing right now? We are going to the football game on Saturday night, our second date. I wonder if he’ll kiss me. I think I want to marry him. “Did you see that old woman across the hall with a baby doll,” I ask my son. There are crazy old people in wheel chairs all over this place. “How long have I been here?” I hear myself say. My son looks chagrined. Of course I remember my daughter-in law. What on earth makes him think I don’t? He’s probably confused. He works awfully hard. My son fills me in on his three children and his new job and I ask when I can see his new grand baby. I love it when he comes to see me. It feels so wonderful to talk with him, just the two of us. He is such a good boy. He always makes me laugh. We talk about old times until he has to leave and go to work. He kisses me and says good-bye. I smile wildly as I watch my handsome husband walk away. He’ll be home for dinner tonight. I wonder what I will fix for the two of us. Now, where is my mother and what time is she coming to get me. This does an incredible job of enlightening me about what it must be like for those who deal with dementia or alzheimers. It brings back memories of my own mother’s struggles. Well done! So beautiful, so sad. Hoping the good memories take her to places that make sure happy. A story… from a person with dementia’s perspective….